﻿ How to Clean the Stain of Welded Steel Pipe? 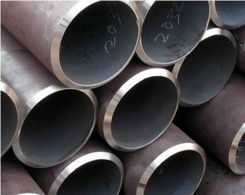 The welded steel pipe is used in various ways for both domestic and industrial purposes. Generally speaking, to clean the steel pipes, you need to prepare enough tools and materials such as scrub brush, soapy water, baby bottle brush and metal polish etc. The cleaning process consists of three steps: cleaning the inside of the pipes, cleaning the outside of the pipes and polishing the pipes. There are different way to clean steel pipes and the below mentioned method is one of the simplest ways. But if it doesn't work, you can try other solutions. How to clean the inside of welded steel pipe? First, let the water run inside of the pipe. If the pipe is small enough, this can be done in a sink. But if it is too long to place in a sink, you can join a rubber pipe with the pipe to transfer water. Second, the pipes should be tilted and twisted to let the inside surface be soaked completely. Third, soak the scrub brush with soapy water and the insert it into the pipe. If the brush is to large to enter the pipe, you can replace it with a baby bottle brusher. And after the cleaning, remember to use clean water to remove the remnants and dry the pipes. How to clean the outside of welded steel pipe? The way to clean outside surface is much easier since the space is more wider. The cloth soaked by vinegar can be used to clean the surface. And handle the remnants with soapy water. In order to retain the shine of the steel pipes, you can wipe the pipes with the paper soaked by baby oil. How to polish the welded steel pipe? The metal polish is the element to achieve such purpose. Make sure that apply the polish evenly on the surface of steel pipes. In order to avoid to damage the surface of the pipes, you should better choose soft microfiber cloth to rub polish the surface. And before applying the metal polish, you need to learn to protect yourself from skin irritation. It is necessary to wear a pair of rubber gloves to protect you from contacting the polish. Prev:What Is the Advantage of Stainless Steel Pipe? Next:What Is the Feature of Stainless Steel Pipe?